In Westchester/Putnam, NY, the weather can be extreme throughout the year. Snow, rain, and extreme heat can abuse your driveway. Your driveway will be in need of repair. 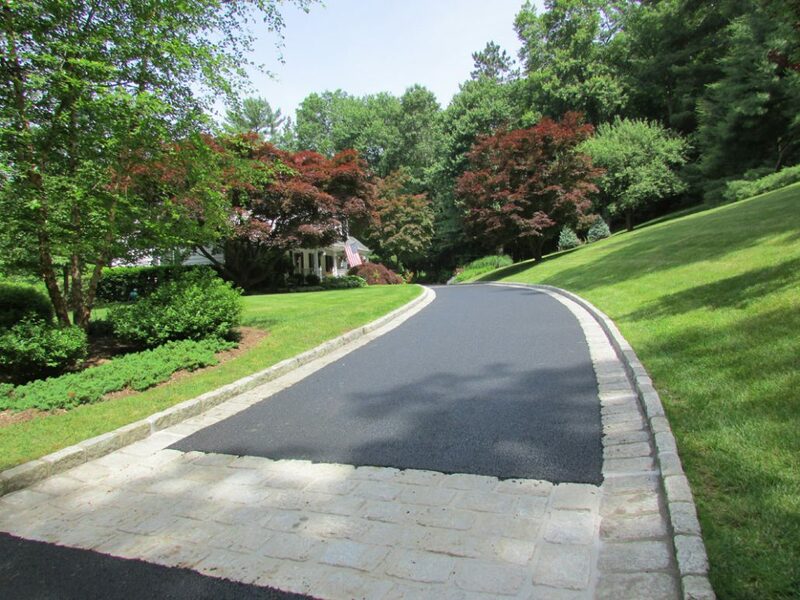 Since 1993, Northern Construction has provided pristine service in driveway paving in Westchester/Putnam, NY. Asphalt is made from stones, sand, and gravel, held together by asphalt cement. It is designed to flex as the ground moves and yet remain solid enough for heavy cars and trucks to drive on it. Over time the elements (sun, heat, u/v rays, cold, rain and snow) cause the asphalt to dry out and lose it’s flexible properties . The sun dries out the asphalt surface leaving a surface that will to crack and deteriorate. Water is the most destructive element to the pavement. Water and frost gets under the asphalt causing it to crack and heave. In order to maximize the life of your asphalt surface, it is important to develop a pavement management plan with Northern Construction involving routine inspections and ongoing preventative maintenance for your asphalt surface. Our typical asphalt paving jobs include parking lots, private roadways, driveways, public streets and more. The following are common asphalt maintenance procedures that we provide. Asphalt Overlay, which is also referred to as Resurfacing is the process of installing a new layer of asphalt directly over the existing asphalt. The overlay provides a new 1.5-3″ layer of surface asphalt over your existing pavement. We do asphalt overlays when the base coat is in relatively good condition. We start with an evaluation which is an onsite inspection of your parking lot, driveway or road and considers all of the variables. These variables can include anything from grade/pitch, drainage, extent of damage, or even traffic patterns. This process helps us develop a customized proposal for you and your paving needs. The first step in an overlay is to remove any existing asphalt necessary to ensure proper pitch and elevation of the final product. Then tack coat (a liquid bonding agent) is applied to the surface of the existing asphalt to ensure the bonding of both the existing and new layers of asphalt. Applying tack coat for asphalt overlays is commonly overlooked in the industry and is a very important step. The tack coat can help prevent the separation of the 2 layers which can occur during the winter when the road heaves due to frost. Northern Construction tack coats all overlays. The new asphalt layer is then installed using a paving machine and compacted with an asphalt roller. For resurfacing of Commercial Pavements we sometimes use milling machines. The milling process is the controlled removal of asphalt or concrete pavement to a predetermined depth, slope and/or specified thickness. This process is often used to improve drainage flow and remove pavement irregularities. It is also used to remove deteriorated pavements for patching, overlaying or to re-establish proper profile for the existing and/or new concrete curb and gutter. Asphalt Reconstruction is the process of removing and replacing the entire asphalt surface. Asphalt reconstruction is done when your asphalt has oxidized and deteriorated to a point where an overlay is no longer an option. After complete evaluation of your site, we determine what caused the asphalt to deteriorate. In many cases we will uncover the hidden problems such as improper drainage, pitch or aging that caused the surface to fail and propose a solution that will ensure longer life for your new pavement. Remember your parking lot surface is only as strong as the base beneath! First remove the asphalt (both the top layer and a percentage of the sub base). Next install the new item 4 sub base. Lastly the top layer of asphalt is put down, generally 2 ½ ” for residential surfaces and 3-4″ for commercial applications. Asphalt milling is the process of removing/grinding up the existing asphalt to a specified depth (on roads or parking lots) with a milling machine in preparation for applying new asphalt. Milling is a very cost effective way to remove blacktop and is used in instances where, 1) overlaying the existing asphalt is not advisable to due existing asphalt height/ pitch issues or 2) when an asphalt surface does not need extensive repairs or total removal. We use a process called Full Depth Reclamation (FDR) as an alternative method for commercial applications such as parking lots and condominium roads. FDR is an economical, in-place recycling alternative to road reconstruction. The reclaiming machine turns the old asphalt pavement into a road base by uniformly pulverizing the old pavement and blending it with a portion of underlying base material. Recycling the road in-place is less expensive and environmentally more friendly than removing the old road and base material and replacing it with virgin aggregate. There’s no need to haul in aggregate or haul out old material for disposal. Truck traffic is reduced, and there is little or no waste. The road performance is improved through better stabilization, building a stronger, low-maintenance road that will last for many years. Also, the process allows for correcting drainage and cross slope problems, as well as widening the roadway. A sinkhole is a hole that reaches past the base of the roadway. Sinkholes are generally larger and deeper than potholes. They are usually caused by a source of water under the pavement, such as a broken pipe. The water causes the soil to wash away, creating a void under the pavement, and eventually the pavement gives away. When sinkholes are big, they can be hazardous to drivers and pedestrians. Asphalt patching is a common asphalt repair technique that we do on potholes and sections of roadway that has spider cracking. Potholes are created when moisture from melting snow and ice seep into the pavement through unsealed or improperly sealed cracks. When water freezes it expands and enlarges the crack, breaking up the pavement on and below the surface. When the ice thaws it leaves gaps inside the pavement. The fractured asphalt can not support the weight of passing vehicles and begins to break up. Over time pieces of the weakened asphalt are kicked out creating the hole in the road. Clean all edges of the repair of loose debris. Saw cut edges to create a neat rectangle. Remove loose material inside and apply liquid tack coat to the edges. Patch with hot asphalt using a mechanical compactor. We recommend crack sealing annually to prevent or delay pothole formation. Ready to get started with a free asphalt maintenance estimate? 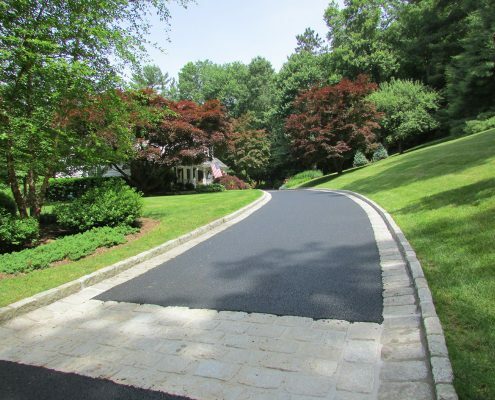 We are the trusted professionals in installing, maintaining, and giving new life to your driveway in Westchester, NY. Maintaining an asphalt surface is the best way to keep it looking good and performing reliably. We can develop a plan to maintain your asphalt and address any emerging issues before they become major problems. The continued good repair of any asphalt surface is the best insurance for its long-term life and usability.